To squirm, flinch as something is uttered that perhaps you should have taken out? A phrase you might have considered many times but hung onto: but it’s good, but does it work there . . . really? No it’s bad, slows the whole pace, chop it, press delete, or hide it in a notebook for another time. Actually this was alright. 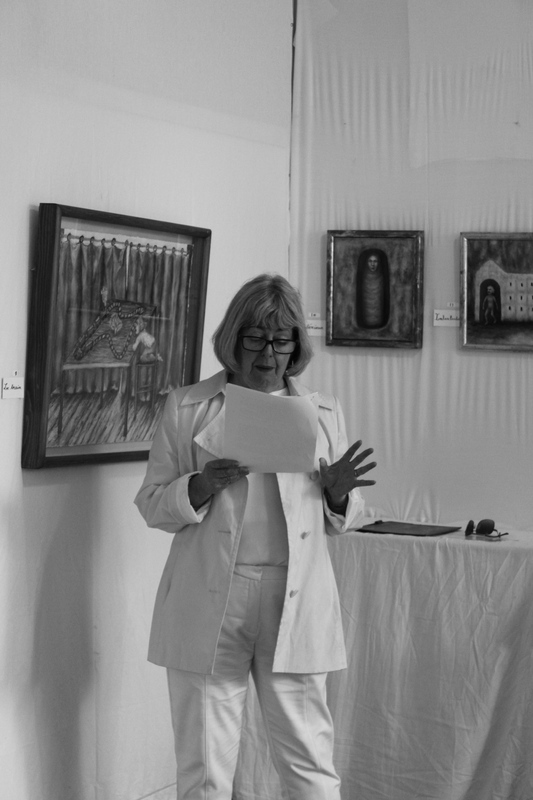 A reading in an art exhibition to a very small crowd. I wasn’t surprised as it was mostly French folk visiting the various galleries and my French is certainly not up to translation. It was just a very useful exercise in getting the text off the computer and in front of unknown people. This is why ‘you write on’ is so good too. A site for aspiring and published writers; you load up some of your precious chapters and wait for the critical missiles to land in your email account: scary but so useful. My first book is out on Amazon now but there are quite a few changes since then in the manuscript. Perhaps there always would be.